KEDRICK BROWN is a private investor with more than eight years of professional equity trading experience, most recently as vice president at Knight Equity Markets, LP (currently a subsidiary of Knight Capital Group, Inc.) At Knight, he traded hundreds of equities through a wide range of volatility, liquidity, and market structure conditions, executing thousands of daily trades; and managed several junior traders. He holds a BS in physics from Rutgers University and currently resides in New Jersey. PART I TREND TRADING PSYCHOLOGY. Chapter 1. Elements of an Edge. Chapter 2. What Can an Equity Trader Learn from a Futures Trend Follower? Chapter 3. Equity Trend Following in Action. PART II TREND TRADING TACTICS. Chapter 4. Three-Dimensional Technical Analysis. Chapter 5. Structuring a Trend Trade. Chapter 6. Structuring a Trend Trading Portfolio. Chapter 7. Out of the Box: Further Possibilities. 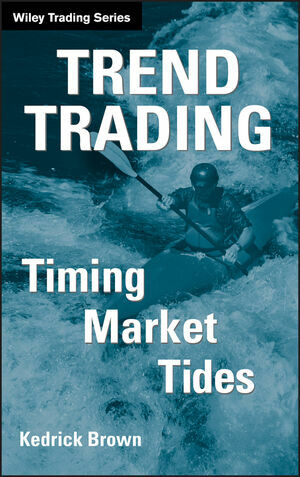 Appendix: Trend Trading Worksheets and Checklists.